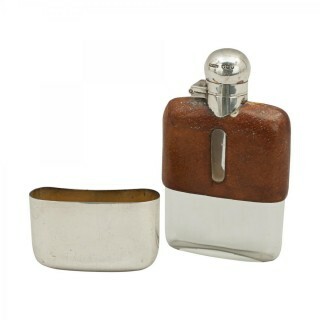 Leather And Silver Hip Flask. 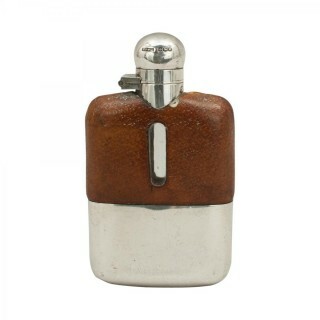 A very nice silver spirit hip flask with the top half covered in leather with level viewing windows cut into both sides. 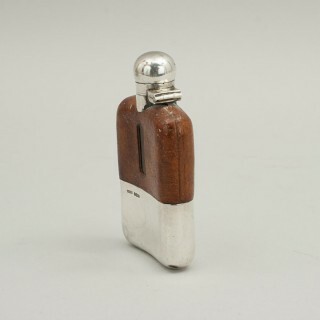 The flask with hinged lid with screw bayonet fitting, bottom with a removable silver drinking cup, bottom stamped 3/32 Pt. 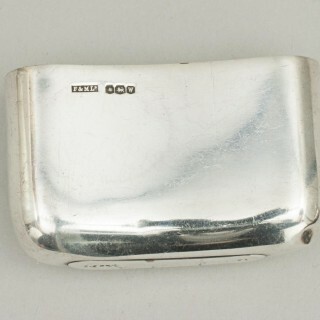 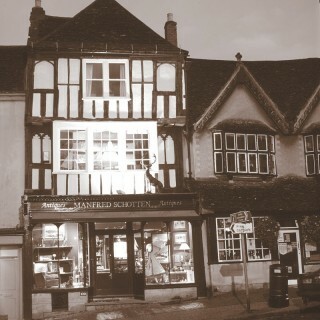 Both pieces carry the mark ‘F & M Ld’ and the silver hall mark Sheffield 1939. 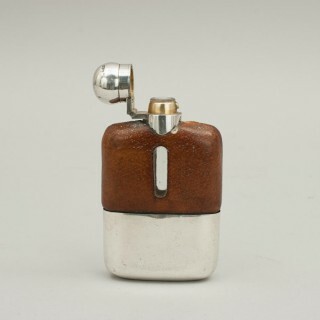 The flask is in excellent original condition.